This is IT! "Stunning Pool Home" In Granada Hills! Light & Bright, Updated & Ready to move right in! Four Bedrooms + 3 baths. Two of the bedrooms have their own private bathroom! Modern grey tone Laminate wood type floor. Recessed lights in cozy living room. Open Kitchen offers beautiful tile floor, stainless appliances, granite counters & stylish white cabinets with glass accent! Convenient laundry room off kitchen has rear access. Master has a beautiful newer bathroom with double sink, modern vanity & quality touches. Smooth ceilings though out home! 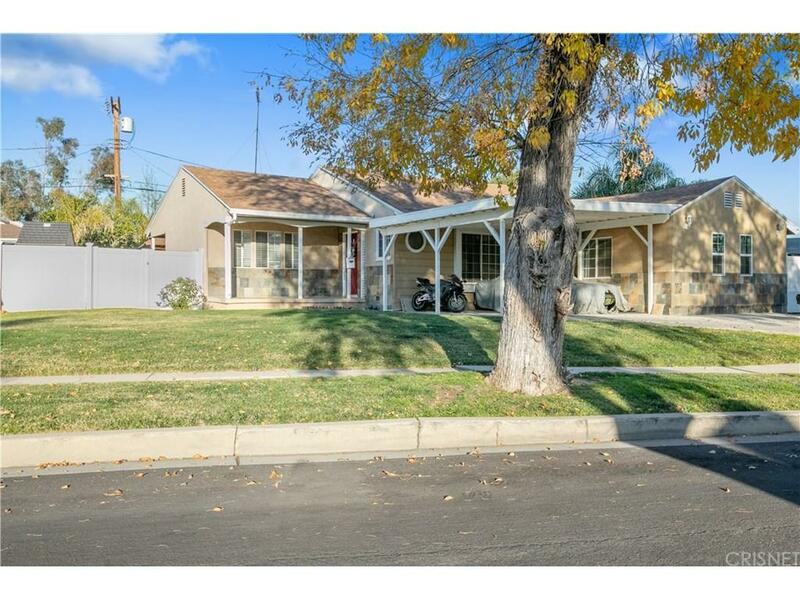 LARGE Entertaining Rear ?Dream Yard? offers newly resurfaced pool, Stylish pavers, outdoor kitchen / BBQ extravaganza with large gazebo type covering for the perfect California indoor/outdoor lifestyle! Possible RV access for your toys!